A bonkers WWII strip, WALKING WOUNDED focuses on a decidedly unconventional commando unit for whom the most suicidal missions are the only ones they’re interested in, one of whose ranks is wheelchair bound – but that doesn’t pose any hinderance to the man’s thoroughly-impressive Nazi body-count. 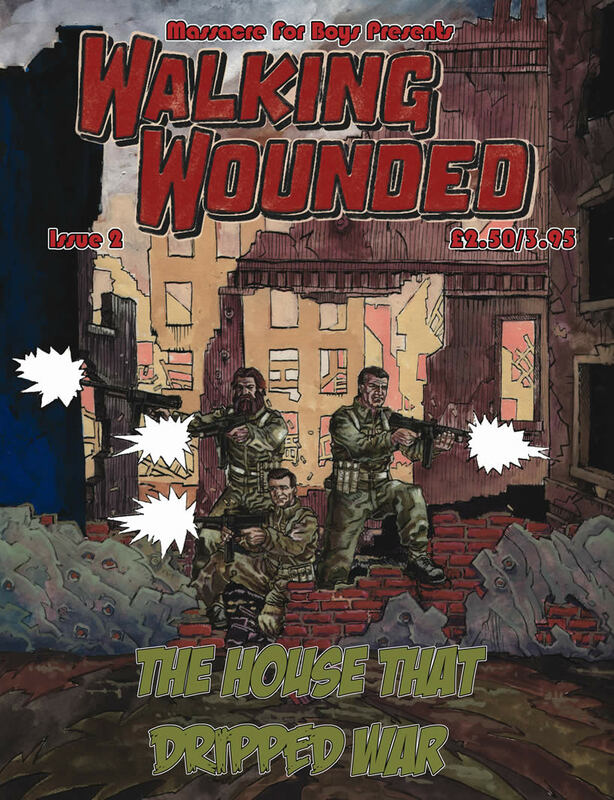 The third issue of Walking Wounded relates the previously untold events of the Nazi invasion of Gibraltar in a story we’re calling “Death On The Rock”. It will be launched in print form at the UK Web and Mini Comix Thing in March.